We take great care when dealing with customer data. We will never share any customer data with unnecessary third-party data processors. We will never ask for any data/information from you that we do not need. We’ll always explain why we need any information we do to provide the best service we can. No customer information is synced across any CRMs or third-party accounting software. Your information and data are not shared with any other companies. Any contact form that is sent in from our website is emailed to our sales team, and a soft copy is also kept on this website. This soft copy is kept so that in case there is an issue with sending emails from the website, it ensures no contact form entry is lost. The details we collect are used to process your orders or process an application for finance. We do not store details we do not need to retain. If you wish to receive a copy of the data we hold about you, please send an email to Customer-Services@GSMPerformance.co.uk and we will reply within one calendar week with a copy of your data. If you wish to change any of the information we hold about you, please email the changes required to Customer-Services@GSMPerformance.co.uk and we will action the change as soon as possible. Your request will not take longer than one calendar week to complete. If you wish to have all data we hold on your deleted (excluding that required by HMRC for invoicing), please send an email to Customer-Services@GSMPerformance.co.uk and we will ensure all data relating to you is deleted within one calendar week. We are unable to delete any data specifically required by HMRC for invoicing during the last seven years. If you receive our newsletter and wish to unsubscribe, you can click the link in the footer of any newsletter from us and you will be instantly removed from our mailing list. This website is owned and operated by GSM Performance LTD. We are a registered Ltd company in England and Wales with company number 09256002. Our data protection officer is Garreth Sleigh. We guarantee that every order you make on our website is safe. 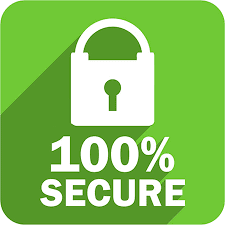 We use strict security precautions to make our website safe, including the use of a Secure Socket Layer (SSL) server. Any information you enter while you’re using the secure server is encrypted before being transmitted, so it is virtually impossible for an outside party to access or intercept your information. You can check that you are shopping in a secure environment by looking for either an icon of a locked padlock or an image of a key in the bar at the bottom of your screen or next to the website’s URL in your browser. This should appear on any page where you are entering personal information, such as your payment card details. Secure online shopping, powered by SAGEPAY. SAGEPAY specialise in web security and are recommended worldwide by major banks and credit card companies as a secure gateway for handling internet payment details. This gateway will automatically communicate with your bank or card provider to verify details, which is usually done in a matter of seconds and acts as an additional security measure against stolen card details and identity theft. It is, therefore, important to check that the cardholder’s name, address and card details are correctly entered into our system to ensure card payments are duly authorised by your bank. ‘Secure Mode’ ensures that all of your details are encrypted to help keep them secure. Encryption creates billions of code combinations to protect each transaction made on our site, so your card details cannot be viewed by anyone else using the internet. In addition, our site supports 128-bit encryption and therefore keeps your details as safe as possible at all times. No credit or debit card details are stored once your order has been processed. This document was reformatted on the 7th of December 2018 to align with our new website.